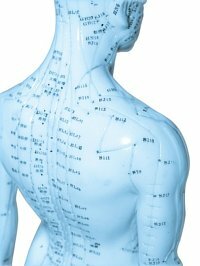 Like acupuncture but without the needles, acupressure targets points throughout the body to stimulate the body’s self-curative abilities. Traditional Chinese Medicine has been using these points for thousands of years to treat illness and pain. Qi, or ‘life-force energy’ flows through the body following various specific pathways called ‘meridians’. Blockages in this flow, or an imbalance of Yin and Yang energy, can cause illness or pain to manifest in the area of the blockage, or somewhere along the same meridian pathway. By treating these blockages, energy is able to flow freely through the body, enabling the body to heal itself. can assist women prepare for labour, resulting in better birth outcomes. Acupressure can be applied as a standalone treatment specifically designed for you, or points may be utilised during a normal remedial massage as an additional technique to assist muscle tension and other dysfunctions. As a standalone treatment, this can be carried out fully clothed. Finger pressure is applied to the points for between 1-3 minutes, either alone or in conjunction with other related points. Pressure used is very light, and in many cases can be just as effective as trigger point therapy for relaxing tension in a muscle without the pain that is usually involved in this treatment. Acupressure can be used throughout pregnancy to assist with the treatment of pregnancy related discomfort (headaches, back and hip pain, heartburn, leg cramps, oedema etc). However it is important to note that there are some acupressure points that must be avoided until near the very end of the pregnancy, and therefore acupressure should only be administered by a qualified therapist.